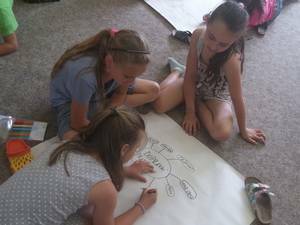 Again in 2017 schools from the Czech Republic participated in the ZOOM-campaign. 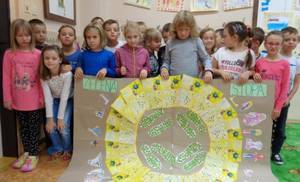 1398 pupils from 13 primary schools collected more than 9800 ‘zelené stopy’ (green footprints). The participating schools also took the opportunity to consult with the national coordinator to discuss further steps for the environment. Although most of them were not collecting Green Footprints before the end of September, some pupils marked their ways to school in maps already in late springtime and identified dangerous spots. 123 children of the Elementary school in Bílá Třemešná became traffic detectives. They walked through the town and noticed dangerous places on their way to school. Together they assembled 818 green footprints. 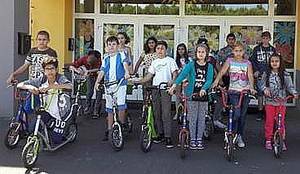 The Elementary school at Bobrová declared a Car-Free-Day. With an initiated traffic control, smaller children were helped across streets. 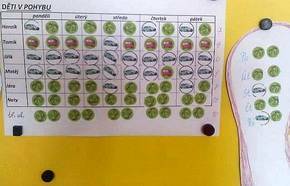 At the end of the campaign the children collected 529 green miles. In Choryně the pupils arranged a cycle competition and invited ultra-marathon cyclists who participated in the world's toughest endurance race (Race Across America). Here, in the end 296 miles were brought together! Here, 238 pupils ZOOMed in very eagerly and together collected 2265 Green Footprints. On the photgraph you can see the footprint poster from one of the classes. 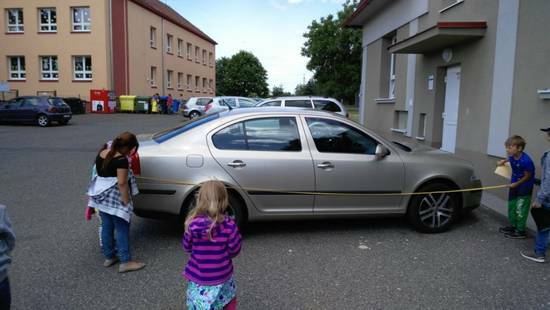 In Měcholupy the pupils went outside to measure and then calculate how much space is used up by parking cars. The 83 participating children collected 506 Green Footprints. In Slaný, children most enjoyed discovering how their parents and grandparents traveled to school. They also drew „green footprints“ for presenting their wishes and concerns to the politicians. 331 pupils together collected 1386 Green miles! In Hořepník, Hranice and Zbiroh, the children were monitoring the traffic around school and the mode of transportation to school. With colorful posters they presented the collected data in their classrooms.